save! when you need our product,simply enter the name of the product you are looking for to continue. Address: Economic and Ecological Park of zhengzhou, gongyi city, henan province, China. Xinguang Machinery is one of the leading manufacturers in producing high efficiency and energy-saving mining machinery in Henan Province, China. We mainly provide ball mills, stone crushers, magnetic separators, floatation machines, pelletizers, vibrating feeders, vibrating screens, sand-washing machines, belt conveyors, driers and rotary kilns. 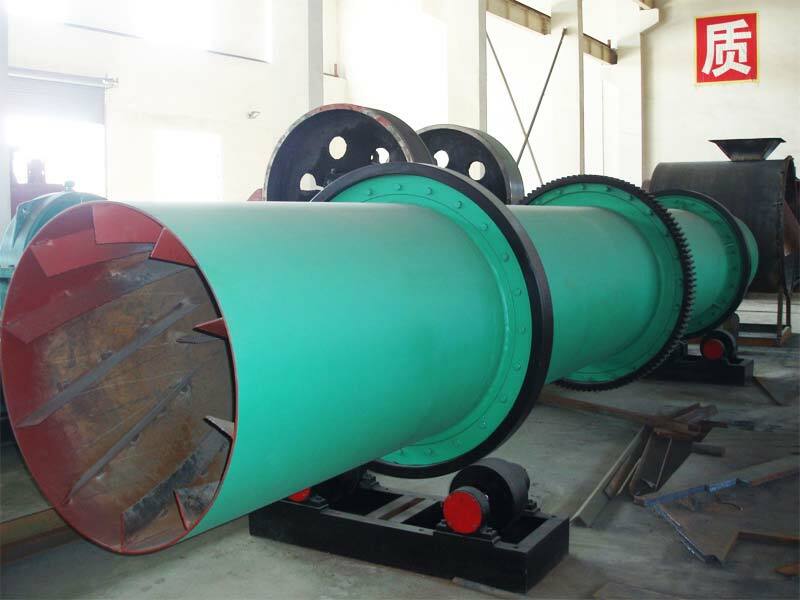 Xinguang developed H serise rotary coal slime dryer which adopts 4 stage drying process. In the first stage, coal slime is fed and impacted at the temperature of 600℃, most of the moisture is removed; in the 2nd stage, coal slime is repeatly scattered to avoid sticking on the wall at the temperature of 450℃, the coal slime won’t coking during this phase; in the 3rd stage, the coal slime is repeatly lift up, broken and falling down by the breaking device at the temperature of 300-400℃; in the 4th stage, forming negative pressure high-temperature hot air drainage area by the induced draft fan at a temperature of 150-250℃. The temperature at discharging port is 60-80℃. The calorific value will increase 1400kcal with water content 10% after drying process. The completely drying process including rotary coal slime dryer, stove, feeding conveyor, discharge conveyor, cyclone etc. Coal slime dryer is is also called slurry dryer, which is a pretty mature drying machine suitable for drying slurry, sludge in coal mine, magnetic concentrate, heavy concentrate and flotation concentrate in metal and non-metallic mine as well as clay in cement industry. Coal slime dryer has the advantages of reasonable structure, perfect in workmanship, high yield, low energy consumption, convenient to operate. Xinguang adopts imported material and advanced techniques for our product manufacturing. We expect your choice and prepare to provide you with heartfelt service at any time. Welcome to visit our factory.